We expect a tough challenge from Melbourne Rising and we are ready. 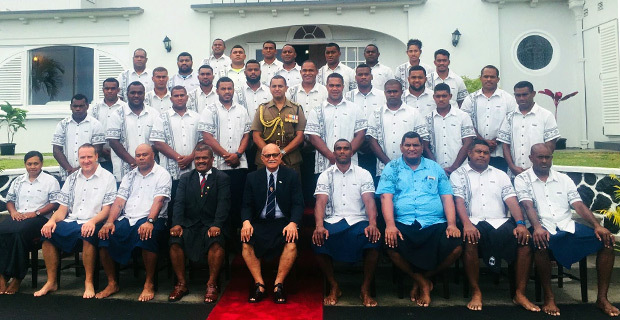 These were the words of Fiji Airways Drua coach Senirusi Seruvakula as the team presented their i-tatau to the President, Jioji Konrote today. Seruvakula says that only three players of the Melbourne Rising are not in the Super Rugby competition adding that they expect Rising to bring experience and fire power in their forwards. 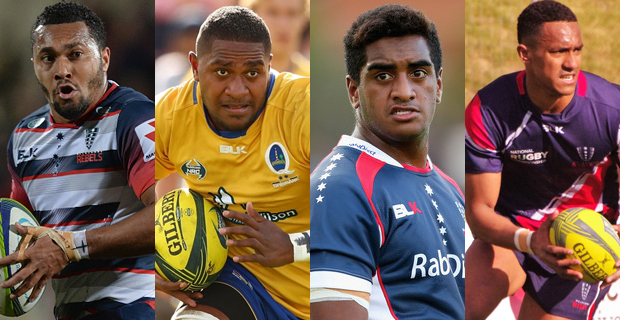 Fiji born players are also expected to start for Melbourne Rising and they include, Sefa Naivalu and Isi Naisarani while Kemu Valetini and Kitione Ratu are expected to start off the bench. Seruvakula says that the Drua had their captain’s run this morning and that they hope to make the most of the home crowd advantage with supporters expected to come out in numbers tomorrow. Meanwhile, William Ryder, Lemeki Duidomo, Samu Saumaisue, Nasoni Roko, Emosi Vucago, Neumi Nanuku, Jonetani Vula and Viliame Satala will be amongst the heroes of the past pulling on the white jersey for the Fiji Legends. The Fiji Legends will play the Classic Wallabies at 2pm tomorrow and the Fiji Airways Drua will take on Melbourne Rising at 3pm at Ratu Cakobau Park.